Speaker: Are we seeing the end of MSM, and is that a good thing? Ha, yes. I got really confused when that came up in the Hepatitis C story I was researching. I'm reluctant to push it too much – or, rather, I want to make sure I can deliver when I ask for support – but the Public Address voluntary subscriptions have helped a great deal in making the hobby viable. It's only about $800 a month in mostly small commitments, but it goes some way towards justifying the time spent over the years. On the local front, eyes have turned to a collaboration between enterprise incubator Enspiral and Scoop – which Scoop founder Alastair Thompson has already written extensively about – as a hope for something that could be truly innovative. Meanwhile keep an eye on Scoop for a development in the Scoop Operation Chrysalis story this week. And here was me thinking I'd finally found a well informed discussion about MS Messenger! Ah well. Apple, Google and Facebook taking over roles that have so far been occupied by the MSM, that is stuff to worry about, as Gavin Ellis rightfully commented on. Speaking of your subs - is there a particular point in the year when you call for them? I know we chipped in something at some stage recently but... time. Is the MSM ‘too big to fail’ for the Shock Doctrinists, just like Wall Street institutions? On that note, what's the media equivalent of a bank run? The wider issues also tie in with proposals from VUW’s Dr Peter Thompson for a “communications levy” to finance public interest broadcasting. Free speech is far too important to be dominated by the best free speech money can buy. Blendle sounds great. Yes, international, please! I do most of my news reading on the Guardian, but I do troll thru WashPost and NY Times reasonably regularly. It'd be nice not to get the whinges without paying the full subscription. I've been enjoying Vox and Narratively, and I've found that the quality of Buzzfeed articles - because some of their long-form stories are truly excellent - is in inverse proportion to the clickbaitiness of the headline. Now if only Spotify would start paying reasonable sums.... I think I'm going to cancel my subscription, since the money obviously doesn't benefit the kind of mainly-NZ (smallish) artists I want to support. For a glimpse of where the MSM is heading, check out this Gawker story by a disillusioned former Daily Mail journalist. Tales of constantly plagiarising articles from other media, making up "facts" and journos being forced to prostitute themselves to churn out endless clickbait. While the Daily Mail has always been a bottom-feeder publication, there are definite similarities with the decline in standards seen in our own MSM. Journalism used to be an honest profession. The wider issues also tie in with proposals from VUW’s Dr Peter Thompson for a “communications levy” to finance public interest broadcasting. Free speech is far too important to be dominated by the best free speech money can buy. Well I hope something workable is soon figured out to encourage gathering of news instead of simply opining from behind a desk on stuff other people selectively push out into the open, or within shouting distance of the office. Gatekeepers only seem to be required these days when media actually bothers to try, and it seems to be trying less these days. In the past week, I've been utterly frustrated by (lack of) coverage in one of my other hobby areas, of the Hopuruahine Bridge failure last week. Four people were extremely lucky not to be all dead, as would have likely happened in slightly different circumstances. It's probably the most serious catastrophic failure in the Department of Conservation's visitor infrastructure since 1995 (Cave Creek platform collapse which killed 14 people), yet there's been virtually no independent coverage or information gathering. All first-hand information has channelled through DOC or Te Urewera Board media releases, plus a handful of interviews early on based on those releases. No media has gone to the site to even look at the remains of the bridge and consider an independent assessment about whether other structures could be at risk, even though there's free public access at the end of a road. No media has attempted to track down any of the victims, who are supposedly being "looked after" by DOC and the Board. And, shortly after it happened, coverage simply stopped, I suppose until the next official press release comes along for someone to write an opinion about. News broke yesterday afternoon that Australian media mogul and climate change denier Rupert Murdoch has purchased a majority stake in National Geographic, a magazine and scientific organization that has been staunchly non-profit since its first issue in 1888. That must mean then, we are finally going to get "the truth" presented to us, after science has been "misleading" us for so many years. There have been some big media announcements this week, starting with some serious PR spin from the Herald about forthcoming job cuts. New Zealand Media and Entertainment (NZME), today announced plans for its print, digital and radio news teams to come together in one integrated, multi-platform, 24/7 operation. The move comes ahead of the co-location of the teams later this year into one world-class, Auckland newsroom. What that story fails to mention is that top journalists John Drinnan and Brian Rudman will likely have their roles disestablished, following the recent departures of Dita De Boni, James Griffin, Peter Calder and Paul Casserly. Up to 40% of sales staff will also lose their jobs. Morale in the Herald newsroom must be on a par with Mediaworks these days. Then in an RNZ story oddly dated 20th (tomorrow), we learn that visitors to the Herald site will have to register before the end of the year in preparation for turning it into a paid / paywalled site. I'm not sure that sacking your best journalists then charging for content is such a great business plan, and it'll be interesting to see if the numbers prepared to pay for increasingly average content offsets the inevitable decline in advertising revenue. And the New Scoop has launched, apparently without Alastair Thompson at the helm, in the galley or anywhere else on the boat. The news is broken. Whether it’s adverts disguised as news, trivia masquerading as real content or important news simply missing from the news feed. Something is wrong. As traditional advertising revenues dry up, publishers are being forced to dumb down or distort the news to keep their businesses alive. And we are all suffering because of it. 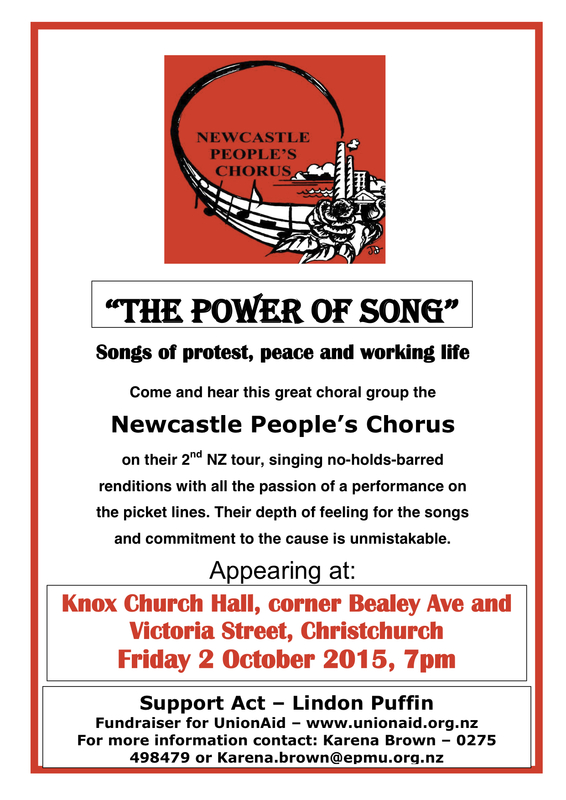 While their basic premise sounds good, there's no detail yet of who's involved and what their mission may be. We live in strange media times. This years conference has come directly out of the recommendations of last years which were that the lack of reliable information and problems with information flows to and from the media were amongst the most important challenges to NZ’s democracy. Like last year the focus is as much on participation as listening. If you’d like to support this but can’t come you can donate to help us cover the costs of videoing, facilitation and some of the speakers travel costs. Hold the front page... there's a new player in the local streaming media market. It's... wait for it... Family First TV. There may be a few early glitches though. That image above is a popup presented when you first enter the site. Note the video? Nope... nobody can, because its privacy settings prevent that. In fact you're not allowed to view any videos until you register. But whatever you do, don't try to play a video because that presents yet another popup requesting registration, and this one has no close button. Your only option at this point, assuming you don't want to register, is to exit the site completely. However some videos do have trailers so I chose something which looked like it might be a surfing film, selected play on the trailer and... bugger! Even that was hidden to due "privacy settings". I'm sure registered users are allowed more access to videos, but it's sure as hell an unfriendly way to treat first-time visitors. Alex Casey has an entertaining review of FFTV over at the Spinoff. The rest of the review is well worth reading for its humour. The link to Casey’s review got broken by the default PA autocomplete. Here it is. As a consolation prize, John Roughan could be walking the plank. 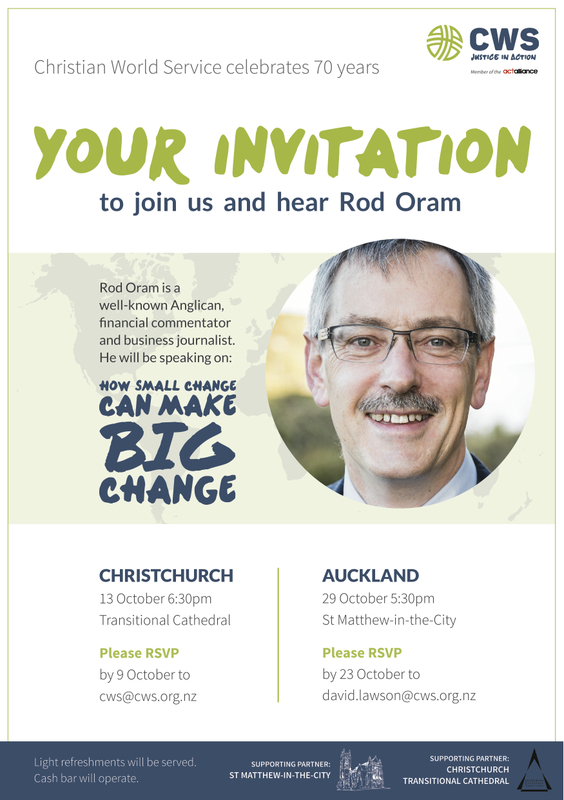 I had no idea that Rod Oram was a well-known Anglican. Perhaps he could bang a few of his co-religionists' heads together while he's in Christchurch. Because with the permanently stalled ruined cathedral & all, the place seems to have become an Anglican version of Father Ted's Craggy Island. Ahh, there, see. That's your problem right there. A powerful Chinese politician says New Zealand is seen as attractive to foreign investors and it's a reputation we should value. She sounded a warning, however, that cash might stay away if "mixed messages" were sent. My first, and rather reactionary, thought was "Who is this person warning of impending doom to our Nation?" I was aghast, so I dug a little deeper. The article was referring to a segment on this morning's "The Nation"
How could the Herald read that interview so wrong?. Here's a thought: what if Press Council/BSA/OMSA rulings had the equivalent punishment of a successful damages lawsuit?